While watching a special on CNN last week about the future rehabilitation needs of the Boston Marathon Bombing victims, a beautiful segment was aired that showed occupational therapy at it’s finest. This program section followed the recovery of a gentleman with a lower extremity amputation caused during an industrial accident. His return to functional independence was emphasized through balance activities as he performed basic daily and work activities (making coffee and a shoveling-simulation task). Unfortunately, the segment did not specify that the activities being performed were directed by an occupational therapist. The general term “therapy” was used, and physical therapy was implied. But the process certainly felt like an occupational therapy intervention. Was this an oversight by CNN? I certainly don’t think so. But why, as happens too frequently, did occupational therapy hide in the shadows? My thoughts: name confusion; a professional philosophy that is difficult to describe in just a few, simple words; and the ever increasing demands of the healthcare industry. 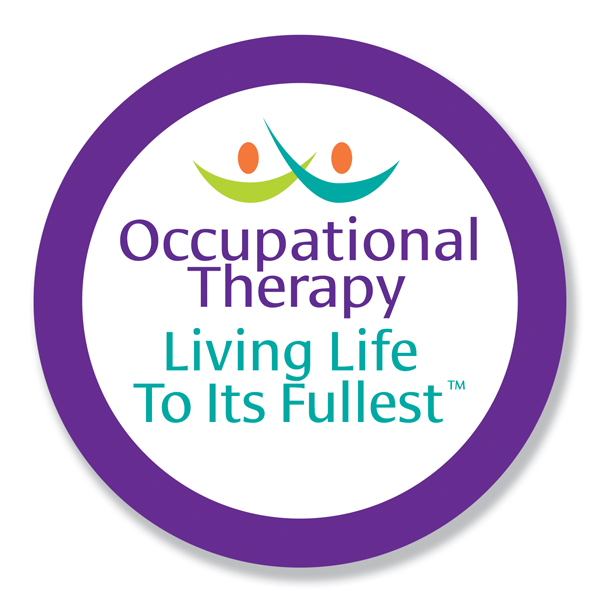 So, what exactly is occupational therapy? Is it fine motor control (occupational therapy) versus gross motor control (physical therapy). Or is it upper extremity rehab (arms = occupational therapy) versus lower extremity rehab (legs = physical therapy). These are quick, easy explanations, but certainly not thorough and sets up for division of therapy efforts versus collaboration. The roots of occupational therapy go back to World War I. At that time, there was a large demand for the rehabilitation of injured soldiers returning home. Rather than focusing on only the physical component of injuries, the nearly 148,000 soldiers admitted to hospitals between 1917 and 1920 were treated with a holistic approach by “reconstruction aides” who borrowed from the fields of nursing, psychiatry, rehabilitation, self-care, and social work. This whole-body, activity-focused and client-cenered treatment encouraged the patient to take an active roll in his recovery and used purposeful activity to enhance the rehab experience. By 1920, the field of occupational therapy was officially founded. Fast-forward to the 21st century, the term “occupation” is now essentially synonymous with work activity. It’s not unusual for a client to arrive at the clinic and ask: “Are you going to get me a job?”; or “I’m 78 years old. Why is the doctor sending me to occupational therapy? I’m not going to go back to work.” Historically, however, the term “occupation” meant any purposeful activity in the triad of self-care, leisure and work demands that occupied our time. This historic definition of the term “occupation” is the basis of the occupational therapy philosophy to treatment. It is what sets us apart from the profession of physical therapy. Traditionally, physical therapists focus on strength and motion, on the biomechanics of an injury. As an occupational therapist focusing on the rehabilitation of hand injuries, I borrow from those techniques. Certainly, the physical recovery of an injury is an essential component of hand rehabilitation. But the purpose is not just to gain motion and strength. It goes beyond that. The following quote, attributed to Mary Reilly, appears on the website for the American Society of Hand Therapists – “…man, through the use of his hands, as they are energized by mind and will, can influence the state of his own health”. The American Occupational Therapy Association states: “Occupational therapy practitioners bring an added dimension to this [hand therapy] specialty area. They use an occupation-based and client-centered approach that identifies the participation needs of the client – what he or she wants to be able to do in daily life that is fulfilling and meaningful – and emphasizes the performance of desired activities as the primary goal of therapy.” The ultimate goal of occupational therapy is to preserve life roles and habits; to promote a sense of normalcy and psychological well-being during day-to-day functioning; and to make the client a partner in his or her rehabilitation rather than a passive participant. 86% of certified hand therapist are occupational therapists and only 14% are physical therapists. Yet, the majority of clients attending hand therapy believe that they are receiving physical therapy. To be honest, each of our professions has benefitted from using techniques from the other. But I have a terrible confession to make – when I overhear someone on their phone telling their ride to pick them up from physical therapy in 10 minutes, I don’t always correct them. It’s not that I’m not proud of being an occupational therapist, or that I’m a wanna-be physical therapist. The truth of the matter is, healthcare providers are struggling to provide quality care with an increased demand for treating a larger caseload, more documentation requirements, and less financial reimbursement. As awful as it may be, there are times when I have to choose between educating my client about the philosophical difference between OT and PT and providing practical information on scar management, control of swelling, and home exercises. And that is why occupational therapy stays hidden in the shadows rather than taking it’s place in the spotlight. Yet, occupational therapist should be proud of what they do and of the many people they help to recover from injuries that can threaten well-being as well as physical function. Some common examples of role disruption that we might see in the clinic include: a child who is having difficulty with the role of student as fine motor deficits impair his or her writing skills; a young lady who is having difficulty with the role as a mother as “new mom’s tendinitis” impairs her ability to care for her baby; a graduate student who is having difficulty with the role as lab assistant as a snow board fracture impairs his ability to fill pipettes in a science lab; a baby boomer who is having difficulty with the role as wage earner as carpal tunnel syndrome impairs her ability to use a computer keyboard; a retiree who is having difficulty with the role as a volunteer as arthritis impedes his ability to make a full fist. Practically speaking, the occupational therapist looks at these life roles, assesses the amount of dysfunction the injury or illness is causing, and promotes healing through injury recovery or activity modification. According to the University of Southern California’s Occupational Therapy Program: “no matter what injury, illness, condition, disability, lifestyle, or environment stands in the way, occupational therapists help people to perform, modify, or adapt their skills and activities in order to live healthier, happier, and more productive lives.